Papaya is a tropical fruit that has a sweet taste. Papaya has certain properties that can help to bring back that healthy glow of years past. Papaya also has the ability to help reduce age spots and decompose the free radicals that is causing your face to age along with rejuvenating your skin. The enzymes in papaya fruit also can help to heal your irritated skin from sunburn. 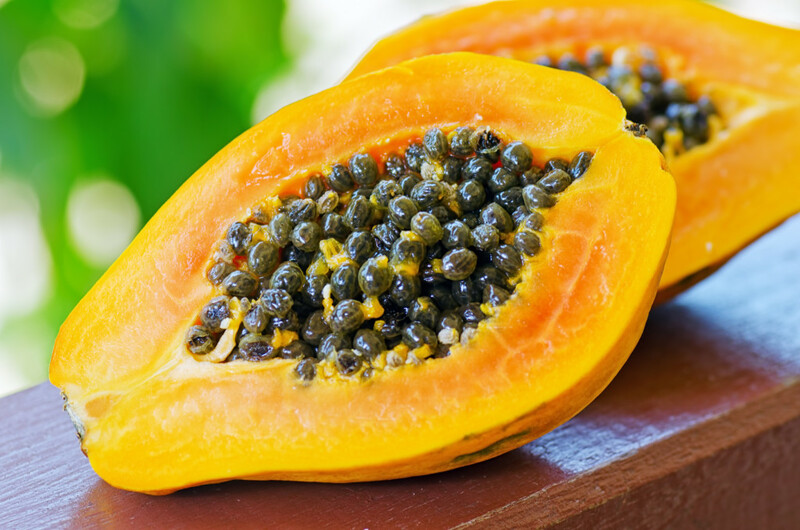 Papaya is the type of fruit that can benefit your skin on the outside and inside. Here are some of the many ways in which you can use papaya for natural skin conditions. Papayas are rich in vitamins E and C along with an enzyme that can help to exfoliate your skin naturally. One way to use this natural exfoliation is to make facial masks to help keep your skin smooth and baby soft. When making facial masks at home you can add different ingredients such as oatmeal, pineapple, yogurt, egg whites, and clay with the papaya. • Oatmeal and papaya—peel and dice two slices of papaya. Add five tablespoon to the papaya after mashing it. Once mixed add the juice of one fresh lime and two egg whites. 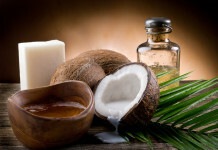 Mix well and apply it on your neck and face, leaving it on for fifteen minutes. Wash your face with warm water. These facial masks will moisturize and rejuvenate your skin. Using the extracts of papaya can bring shine and glow to your skin because of the vitamin E in the papaya. When you first use it to lighten your skin , your skin may itch and feel irritated but after a few weeks it will stop and you will start to notice changes in your skin tone. It helps to peel off the cells and layers which are dark and dead. To get this effect you need to use papaya soap every day. Check the soaps to find one that has papaya as a main ingredient and is of good quality. When using regularly it can help to eliminate freckles, pigmentation, sun spots, acne scars, and more. If you are experiencing problems with blemishes, dry skin tone, wrinkles, and pimples rub the white pulp from a papaya on your face for five to ten minutes, leave on for ten minutes, and then wash off with warm water. You will see youthfulness and a glow to your skin afterwards. You should do this at least three times a week to maintain these results. Use the sap from a papaya that appears when you cut the fruit on your rough and dry hands and feet. If you do this once every day it will make your hands and feet to feel soft again. Rubbing papaya any place on your skin will help to break up the dead skin cells to make your skin look cleaner, more glowing, and fresher. When you rub the fruit on your skin you can do this at night before showering. Leave on for ten minutes, and then take a warm shower. When using papaya as a face pack it can help to open the pores of your face or wherever you have acne so you do not have clogged pores, which are a main cause of acne. To help remove pimples and blemishes from your skin apply some mashed raw papaya to the areas, leave on for fifteen minutes, and wash off with warm water to get rid of those embarrassing blemishes and pimples. When using a papaya enzyme peel it will soften your skin and aid in fighting free radicals that can damage your skin. The peels from the papaya enzyme are very rich in antioxidants and will dissolve your dead skin cells leaving you smooth skin. It can even help eliminate fine lines and reduce the appearance of age spots and blemishes. To do this you can eat papaya and you can also use papaya as a scrub to help smooth out and get rid of the bumps and lumps that cellulite can cause. 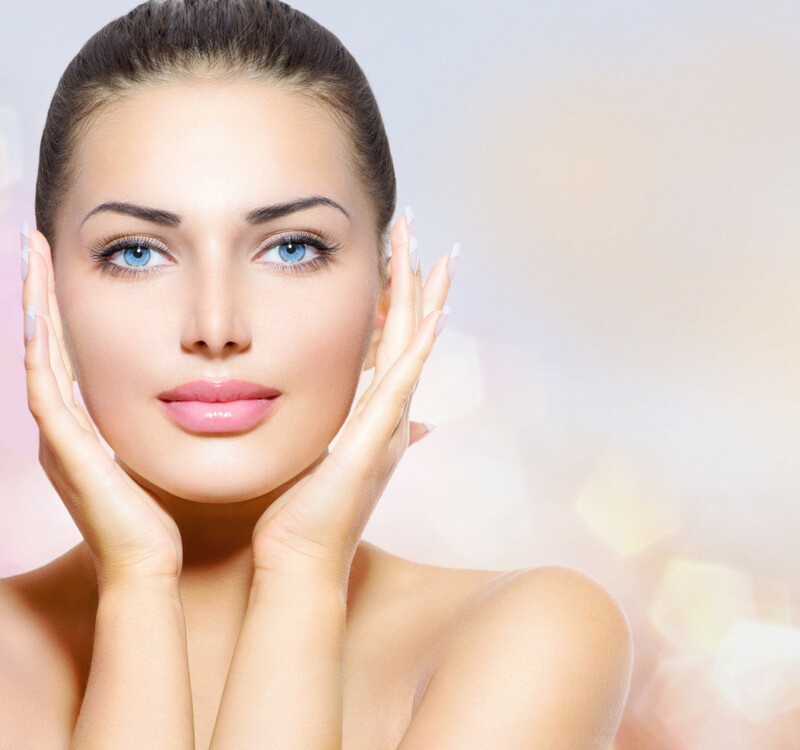 There are enzymes that help to stimulate the production of collagen and breaks down the top layer of fat dead cells under your skin to help you have smoother, firmer lines. If you have cuts or wounds that do not heal quickly you can use the pulp from papayas and put some of it on the wound. You can also make a poultice to put on the wounds. Eating papaya every day will cleanse your body from the inside out to give you healthier looking skin. You can rub some raw papaya on your body or else use a moisturizer that lists papaya as a main ingredient to help protect your skin from the harmful effects rays of the sun. Make a facial treatment of honey and papaya. Rub some on your face or where you had acne and can already see the scars. Leave on for thirty minutes and then wash off with warm water. Both of these ingredients have enzymes that help to heal and repair your skin and slowly and gently fade out your acne scars. Using the inner part of the papaya skin apply it to your skin and let it dry. Rinse it off with cold water and do this treatment every two weeks. To use for hair care you will most likely have to go to the store and see if they have either papaya shampoo and conditioner or a shampoo and conditioner that lists papaya as their main ingredient. 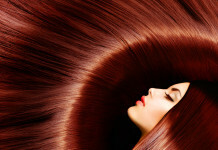 It can help prevent dandruff along with helping to control dandruff. Thank you so much for giving information about papaya. I want to try one of these which gives me better results. Papaya is rich in vitamins. I like to eat. Now, I want to try it on a face for glowing and tighten my skin.